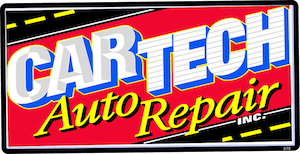 CarTech Auto Repair opened our doors in 1995 with one goal and one goal only—to provide Kaukauna and the Fox Valley with a mechanic whose business is built on high standards and solid business ethics. We are proud to provide reliable, professional and speedy service at a reasonable price. We take the stress and worry out of automotive services! We love what we do, and it shows from the moment you walk in our door and speak with a member of the CarTech team. We welcome everyone in our community and are particularly proud to be the shop of choice for many Fox Valley moms. You can trust us with everything from your oil changes, preventive maintenance and emergency repairs. Sit back and relax in our newly remodeled waiting area—where we have Wi-Fi, electronics charging bays, immaculate bathrooms, hot coffee, snacks, and a kid’s play area. If it’s more convenient, drop your car off and we will give you a ride back home or to work. We also have afterhours drop-off and pick-up, including a well-lit 24 hour key drop off box. Just call ahead to schedule your repair and drop your car off when you can. We do everything we can to make the bothersome task of getting vehicle fixed a little easier! We aim to please which is why we service all makes and models. Our tenured team of technicians has the training, tools and technology to be your go-to dealership alternative. Entrust us with your new, tried and true, domestic or import. Our expert auto services are backed by a 12 months/12,000 miles warranty and our guarantee that we will get it right the first time every time. We also sell over 30 brands of quality tires! If you are stranded and in need of emergency car care we offer 24 hour Towing and Roadside Assistance! Just give us a call at (920)766-3133 and we’ll tow you back to our shop! We Care About Our Country, Community And Our Environment! Green might not be the first thing that comes to mind when you think of your mechanic, but we are a green auto shop! We purchase all automotive fluids in bulk to reduce the amount of plastic and waste. We recycle all plastic, paper and cardboard in our shop. We take metal parts and scraps to the local scrap yard to be melted down and recycled. We support local and American and Made-in-America businesses as often as we can. The CarTech team helps bring the magic and excitement of Christmas to local youth by hosting a toy drive for the local Toys for Tots. Between our team and our generous customers we donate hundreds of gifts each year!